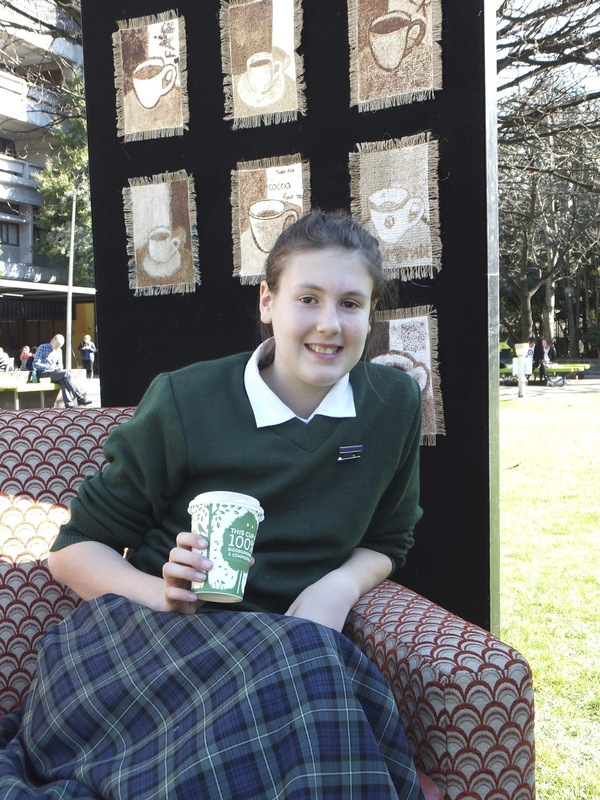 We were delighted to be invited by The Student Volunteer Army at the University of Canterbury to exhibit some of our 'Cups of Kindness' Art Work during Random Acts of Kindness Week. They had chosen to hand out cups of Trade Aid Fair Trade Hot Chocolate to staff and students as part of their 'Paying it Forward' initiative. 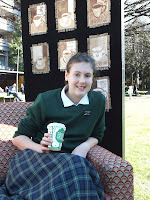 Our art monitors, Tilly-Belle and Rosanna , went to the University last Thursday lunchtime to take part in the events. It was a beautiful sunny day, live music, hot chocolate and comfy sofas. 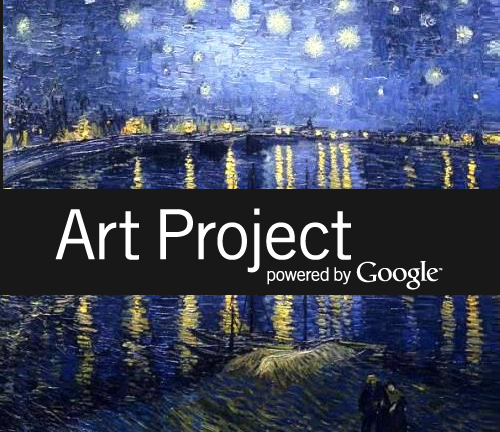 The concept behind our work, that of sharing a cup of kindness, worked perfectly with their idea. It was if it was meant to be! Predestination.